Innumerable comparisons of Giles Corey to Have A Nice Life are going to be made, and really, it’s hard not to see why. After all, both projects share one man, Dan Barrett. More importantly, however, is the ability of both bands to create uncompromisingly dense, dark, and riveting musical compositions. 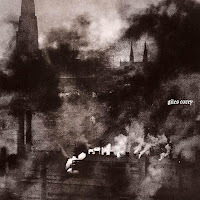 This is where the comparisons should end though, as Giles Corey’s eponymous debut is an entirely different kind of beast; an album rife with complexities, but stripped down, making it real, raw, and visceral. Giles Corey is the side project of Dan Barrett. Like most acts on Enemies List (an utterly fantastic collective), Giles Corey is a difficult entity to describe. Steeped in mystery, much of the macabre lore surrounding both the name, and the rather lengthy accompanying book (well over 100 pages) are next to impossible to verify. Corey, as a historical figure, was sentenced to death in the late 1600’s, and after choosing his method of execution, was crushed to death by stones. The book that comes with the album delves into the occult, as well as Corey. It’s a bizarre, maddening compliment to the record, and while it isn’t necessary in understanding the core concepts, it truly is a wonderful companion piece. The real meat of the album isn’t the eerie mystery, nor is it the strangeness of its oddly coherent concept. The real crux is the inner workings of the mind of Barrett, and his struggles with depression. You see, the album came about in a low point of the man’s life, around the time he attempted suicide, a fact he seems very open about. The album, because of this, feels hopeless, bleak, and depressing. Oddly enough, it is all the better for it. The emotions are tangible, and thus, feel somewhat palpable, making Giles Corey and incredibly effective piece of work. Barrett seemingly has a penchant for layer sound upon sound, as is evident by both his projects. “Giles Corey,” although rather stripped down and simple, features lush soundscapes piled on top of each other, making for a very dense, atmospheric album. While many will expect the pseudo-industrial black metal of Have A Nice Life, they really won’t find it here. Giles Corey features a much more simplified sound, including Barrett’s lonesome vocals, as well as his acoustic guitar. Yes there’s more to it than that, but at its core the album comes off almost as “singer/songwriter-ish.” Yet the melancholy and desperation are largely felt throughout the music, making it much more deep and introspective, a sentiment that carries through the music itself. Giles Corey is a dark, beautiful, and solemn album. Birthed from ineffable sadness, and forged with a backdrop of madness and mystery, the album stands as a crowning achievement. Giles Corey is an experience, rather than an album filled with songs. Even though it may not prove to be one of the strongest offerings of the year, it will certainly stand as one of the most unforgettable.